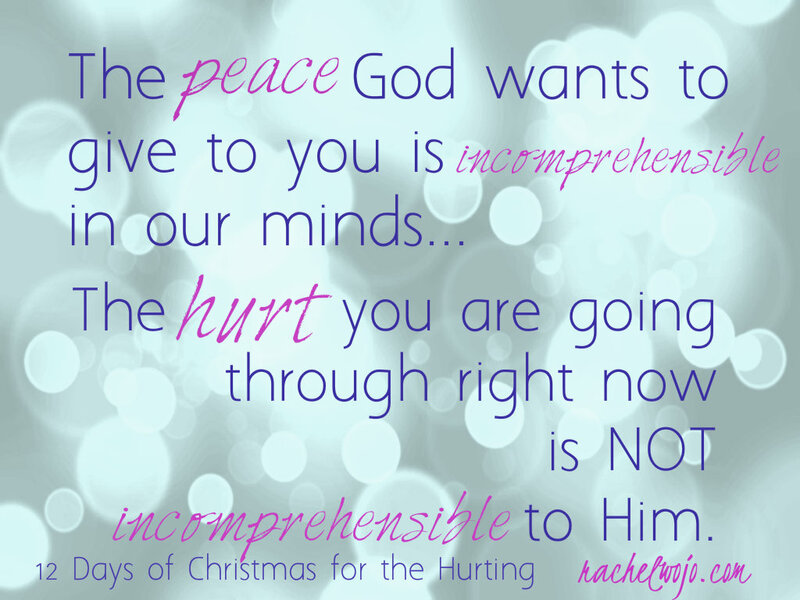 At the very heart of RachelWojo.com is the desire to encourage and inspire; “12 Days of Christmas for the Hurting was born from the desire to encourage those hurting at Christmas. If there was a time of the year that we should be most joyful, it is Christmas! But for many, Christmas is a reminder of better days. Days before an accident…before a diagnosis…before a death in a close-knit family. There are no words to express the ache I feel for those experiencing sorrow during this time. But the Word of God contains the words- and the power- to heal. Gifts from our True Love- our Heavenly Father- are available each and every day. 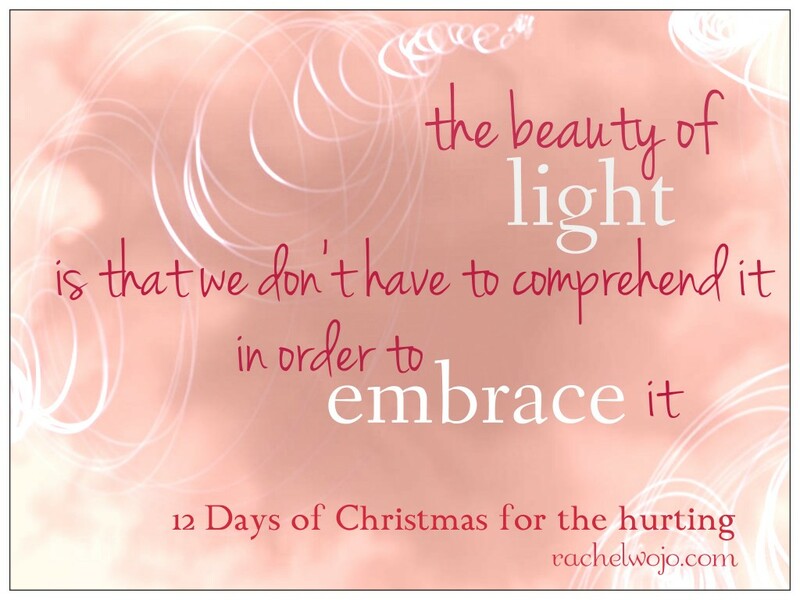 My encouragement to you is to read “12 Days of Christmas for the hurting” for the next 12 days. Commit yourself to one devotional each day. 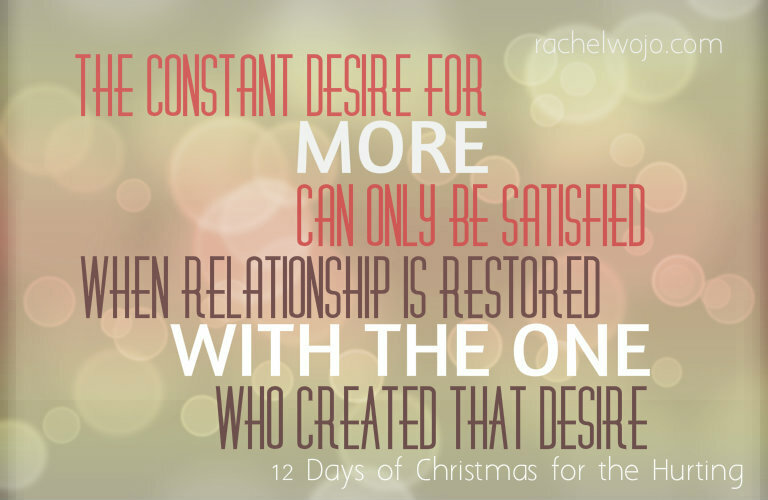 Enjoy the gifts of your True Love- the One who loved you so much that He gave His one and only Son for you. Remind yourself by reading this devotional that in spite of hurts, wrong circumstances, God loves you. This will never change. Don’t have a kindle e-reader? Download to read on your computer: Amazon Kindle for computer.